"CRIMINAL.COM" sites - Are they safe? ABC Nanny Source! Find out why - diverse solutions are found here! There is one acknowledged answer! Online Searches - common concerns: More questions than answers; dead end leads with countless hours spent on numerous unfit nannies - often ending with exhaustion and uneasy results. Many find that the candidates are often not who they said they were! The searches rarely provide filters for references, backgrounds, official records etc. It’s uncommon to find a career nanny looking for a long-term commitment, and seldom a personality match you’ll be pleased with. You really never know what or who you’re going to get. Solution - ABC Nanny Source: Time is of the essence. You’ll be pleased to know your future Nanny has a successful past! We have a 10% acceptance rate of the applicants who’ve initially inquired to enter our portfolio. At least two of our Placement Counselors have had an in-depth interview where every detail of the applicant counts. From body language, presence, resumes, articulation, to their vehicle - we audit everything, and cross-reference with the remaining 10-step screening process. We strive for nannies that will exceed your expectations. ABC Nanny Source has world class standards. We endorse integrity, responsibility, professionalism, and a warm smile! Online Searches - common concerns: Thousands of candidates - the only red flag that pops up may be too late when a candidate is arrested from a warrant. This is an ever growing problem in our marketplace. All too often, backgrounds are cloaked, insufficient, or even out of date information is presented on criminal backgrounds with simple online databases. Is there a reliable solution? Solution - ABC Nanny Source: We take safety very serious. In order to be represented by ABC Nanny Source, each applicant is subject to safety checkpoints: Each candidate we present to you is reliable, trustworthy, and checked for any illegalities through a Nationwide Criminal Background Investigation. It is our top priority to ensure you and your family are in exceptionally good hands! Our intensive process is undeniably the most thorough in local and national agencies. Online Searches - Common Concerns: Moving violations, accidents, and irresponsible actions are completely overlooked in online databases. It is ultimately up to the Nanny to disclose this information. Many candidates are silent with this discussion, fearing detrimental disqualifications. Unfortunately, they don’t consider your children’s safety in their omission of communication. ABC Nanny Source Solution: This is a completely resolvable issue in our process. As we present a profile of our represented Nanny - we will disclose any irresponsible action noted in a Nanny’s driving history. If the candidate has an overwhelming driving record, we will not represent them. Some liabilities that are pertinent to a candidate's character include: driving under the influence, driving while using electronic devices, reckless/careless driving, and driving without insurance. ABC Nanny Source reserves the right to obtain and disclose any and all motor vehicle reports of our representees with your child's safety in mind. Online Searches - Common Concerns: The validity of a resume is often overlooked. References can be for a completely different line of work. Online searches often present many referrals and resumes, but the time consuming process of checking their validity, getting in touch with resources presented, and verifying that each references can attest to who the candidate claims to be can be overwhelming and exhausting! There is often several dozen resumes with a half-dozen references each. Filtering through them can truly be a hassle when searching for an ideal Nanny. Solution - ABC Nanny Source: ABC Nanny Source works with an entire team dedicated to the verification of our applicant’s references. Our verification team contacts all references and confirms their validity either over the phone, in person, or through electronic communication. This gives our clients an opportunity to have a clear and valid perspective of Nanny profiles without having to spend tens of hours dedicating their time to contacting dozens of references for the right candidate. the ABC Nanny Source verification team saves you precious time seeking a trustworthy and reliable candidate! Online Searches - Common Concerns: Phishing is real. It has been used against families to access confidential information. Identity theft is often a concern when using unreliable search agencies. It’s a common concern when trying to validate an individual's citizenship as well as proper identification when considering candidates online. Are candidate really who they say they are? Solution - ABC Nanny Source: Your safety and security is quintessential to yours and our success. Our verification includes requiring the nanny has the legal right to work in the United States along with proper state/federal photo identification. ABC Nanny Source verifies identification cards with the proper local, state, and national authorities. This is an exclusive protection we offer that online searches cannot provide. Online Searches - Common Concerns: Occasionally you will find a CPR/ First AID qualified candidate, but did they provide you with the proper documentation? Many times candidates claim they are certified, unfortunately their certifications are out of date. ABC Nanny Source Solution: We verify and have on file accredited CPR certification documentation for every one of our represented ABC Nannies. This peace of mind is essential in the circumstance where the unexpected suddenly happens. ABC Nanny Source believes in a safe environment where being prepared for emergencies is an essential credential for being a career nanny. Online Searches - Common Concerns: Many online searches present nannies who are in a transitional stage. Availability is crucial in a Nanny position. After much time and effort is spent to finding an ideal nanny; often these candidates have already made plans to take on a full educational schedule, or are buying time to find the position they are looking for. Professional and committed nannies aren’t easy to find. Solution - ABC Nanny Source: We believe that family stability is crucial. It is an ABC Nanny Source requirement that each of our representees make a one-year commitment pledge - stating that they plan to commit for a minimum of one year with the family they are placed with. ABC Nanny Source does not accept nannies who are in a transitional period for any reason. Our applicants must fully commit to this duration of employment in order to be represented by our agency. If a nanny’s obligations are too concerning to us, their profile will stay on hold until they are ready to make that commitment. Online Searches - Common Concerns: Personal guidance and assistance is unavailable with online searches; agents simply don’t exist. 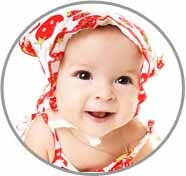 Your time and effort invested in a nanny candidate is significant to your family’s development. When you’ve found your nanny - you pay your fee - and it’s left at that. There is no guarantee you’ll be satisfied or comfortable with the childcare you’re left with. Solution - ABC Nanny Source: ABC Nanny Source goes above and beyond to ensure your nanny is meeting your standards and expectations; we follow-up and follow through. We dedicate ourselves to selecting professionals that we know will have those same ethics. Working professional parents are highly valued at our agency. We are passionate in assisting your efforts to raise a wonderful family! ABC Nanny Source takes such pride in our dedication to the families we work with, that’s why we offer a one year guarantee should the need arise for another nanny for any reason! ABC Nanny Source is here for you - please always feel free and comfortable to ask us for advice and support; whether is relates to nanny salaries, performance, or anything in between.